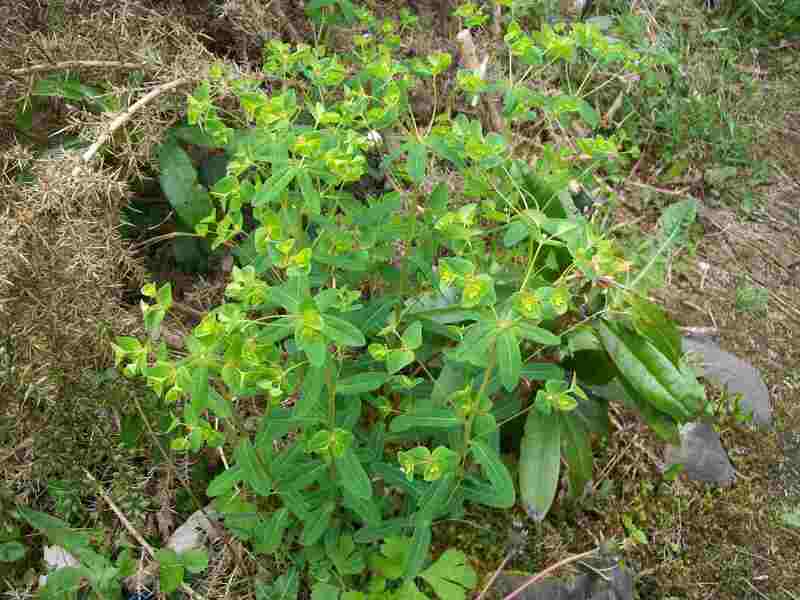 In the same ground there is also Hypericum hirsutum (Hairy St John’s-wort), a first record for the vice-county. I think this has to go down as an introduction as this is also the same ground as the Linaria repens (Pale Toadflax) that has been recorded for nearly fifty years and a variety of planted shrubs. I am on Islay for the next three days so Rum records will have to wait……. This is just a preliminary post until I get to sorting out records from the past three days properly. 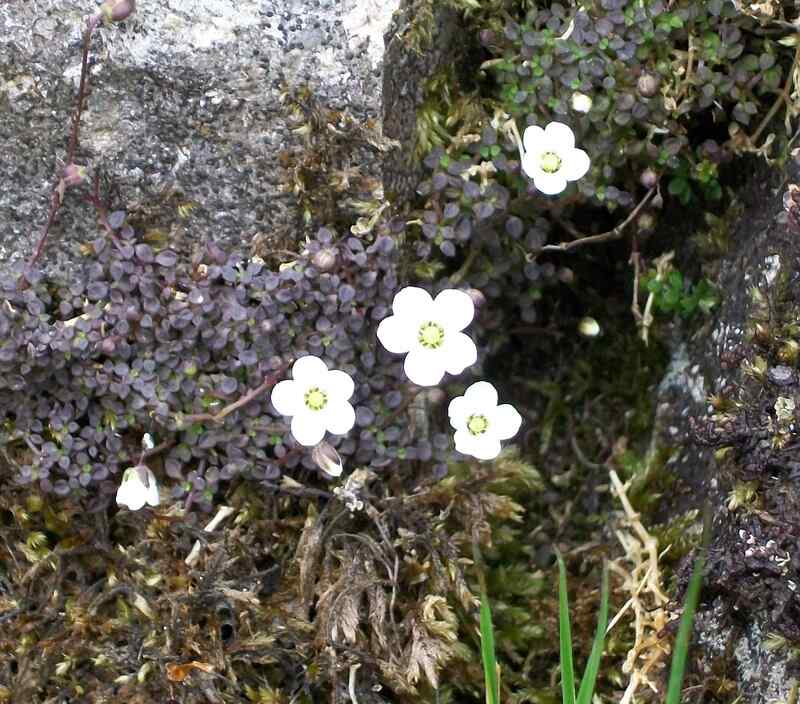 On Monday I obtained samples of Arabidopsis thaliana (Thale Cress) from four populations on Skye: leaves in silica gel for DNA work, stem specimens in alcohol for assessment of woodiness and fruits so that seeds can be grown on. I will be some time before we know what is found, but the situation looks more complex than I expected with most populations showing some individuals with a possible tendency towards woodiness. Whilst on Skye I also checked an Equisetum that I think may be a hybrid. I have sent images to an expert and have a specimen that could follow. 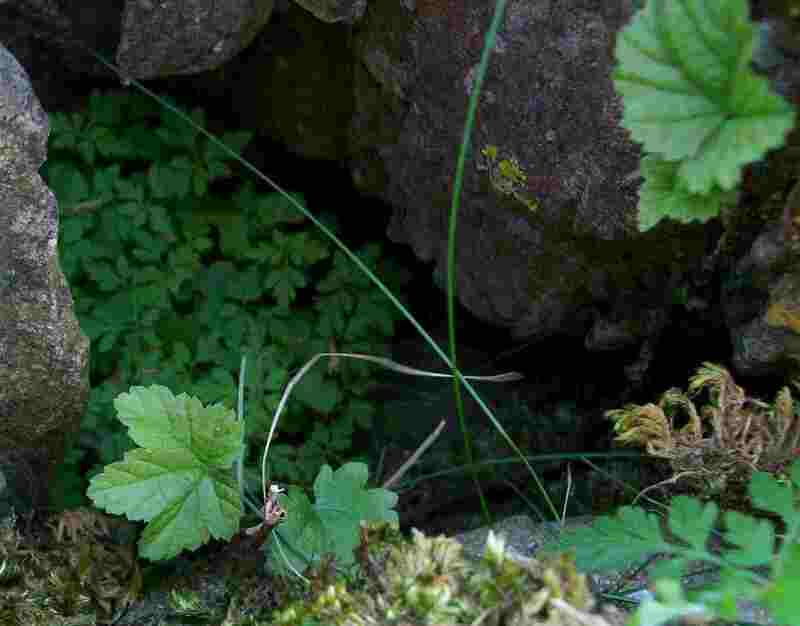 From there I went to check on a Ribes that I found three years ago and which I thought was R. spicatum (Downy Currant). 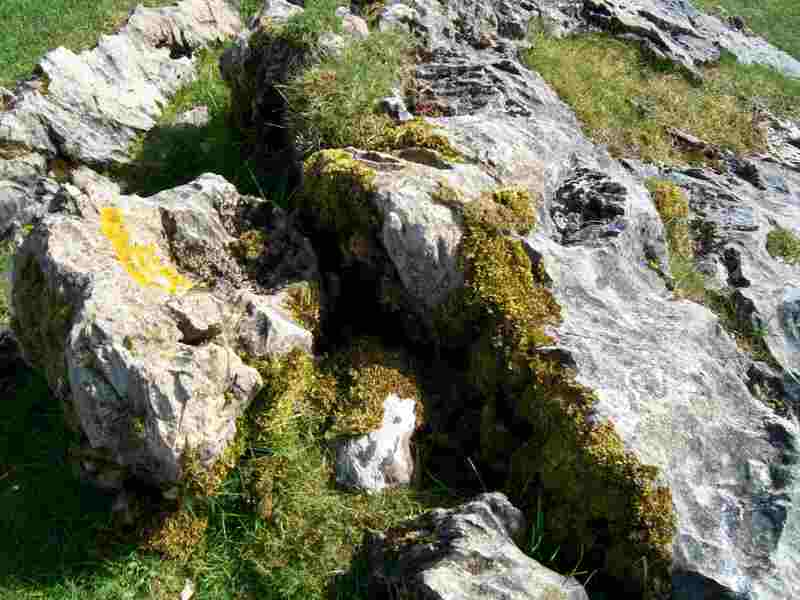 It is in a small limestone grike and is still a small plant with no flowers/fruits so I cannot check hypanthium shape, which would be diagnostic. However, it is really hairy and I think I am convinced that it is this species. This is some considerable distance from known sites on Skye. After that I went to look for Epipactis atrorubens (Dark-red Helleborine) in the only 10km square in the vice-county for which there was a pre-2000 record but none since. That worked, though I only found one plant. A thorough search during flowering time might do better. 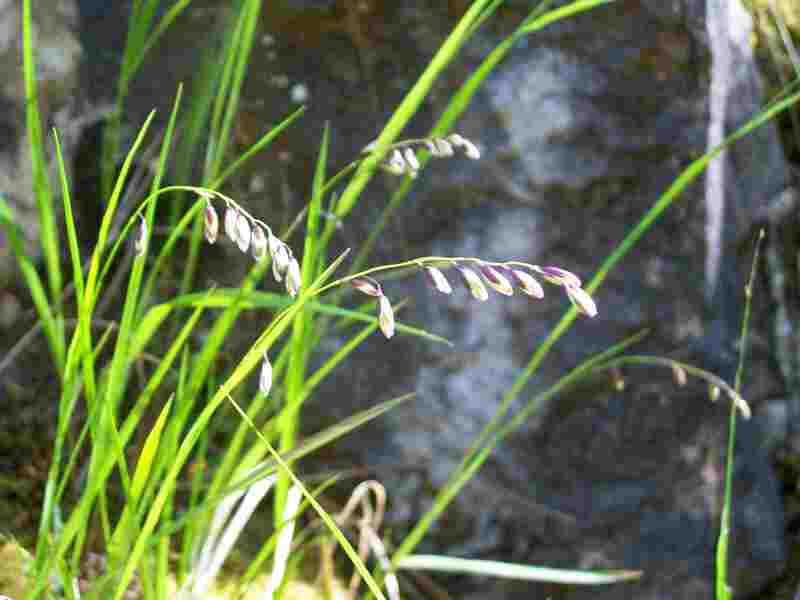 I also found on the nearby shore, Catabrosa aquatica (Whorl-grass) which also needed a recent record for the hectad. Tuesday was the Skye & Lochalsh SWT trip to Rum. 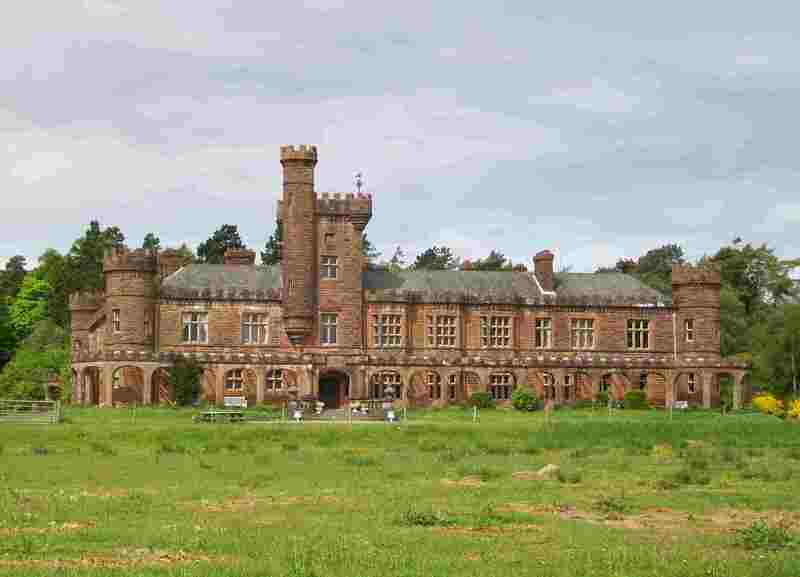 I spent the day in the Kinloch area and added a few interesting records of which more later. It has been recorded on Raasay for 75 years, presumably originally having been introduced to Raasay House garden. Swallows are nesting in the byre again this year and there was a whimbrel on the shore a couple of days ago. They are seen as passage migrants on Skye, though more commonly on the west side and this is the first time I have seen one of Raasay. 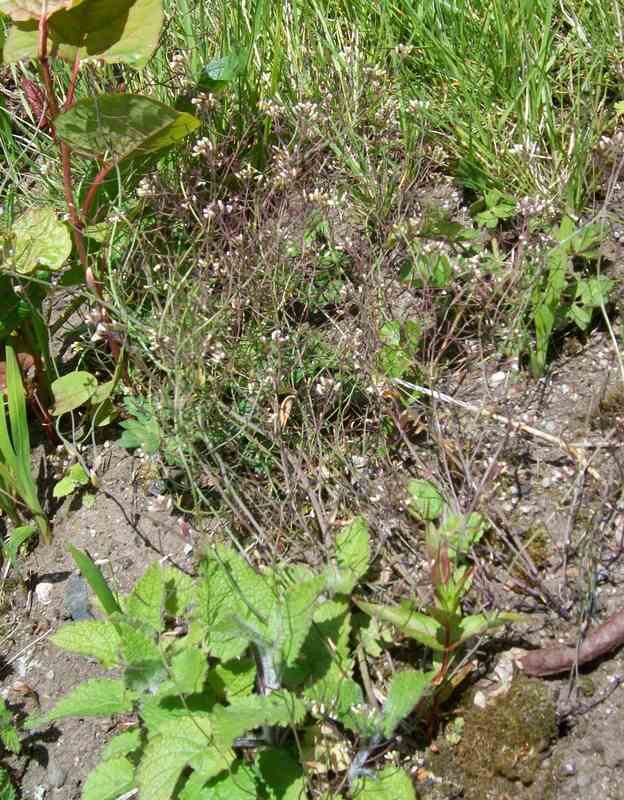 I have been contacted by Frederic Lens at the Catholic University of Leuven in Belgium to see if I could locate the source for an unusual woody phenotype of Arabidopsis thaliana (Thale Cress). This is, of course, the molecular biologists’ model plant with a small genome and just five chromosomes. An original collection had been made on Skye but further details are not known. 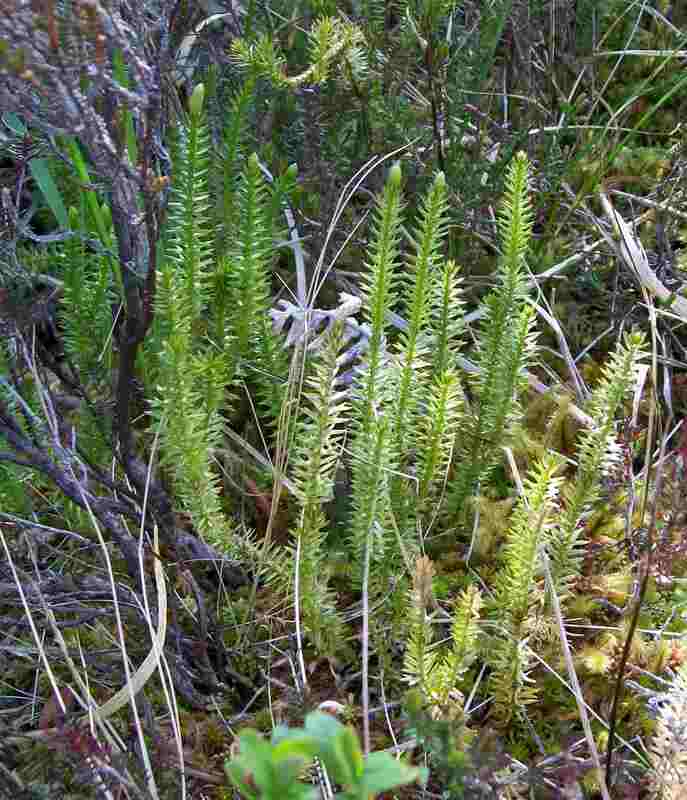 A. thaliana is not that common on Skye outside ruderal habitats (which are themselves not that frequent). Now I just have to stop it being sprayed with herbicide aimed at the adjacent Fallopia japonica (Japanese Knotweed). 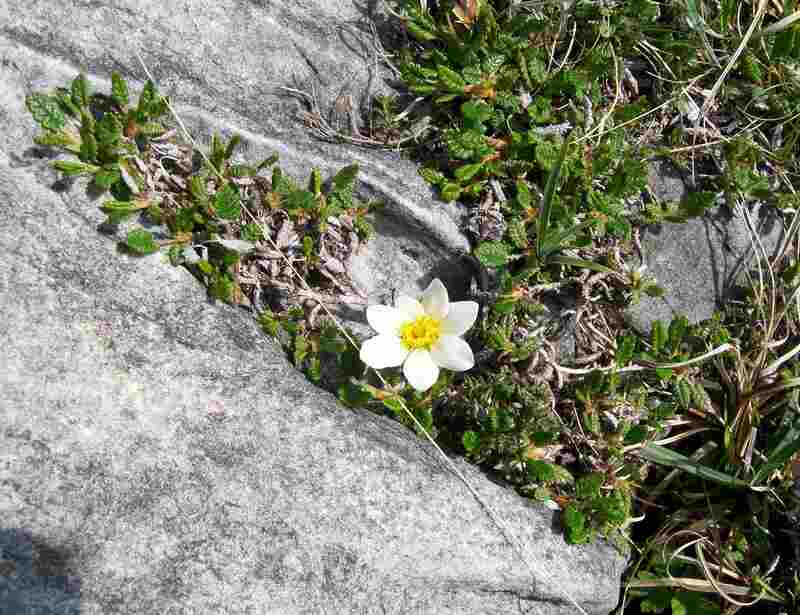 It is about a year since I put a counter on my newly completed web Flora of Raasay & Rona. As I write it is showing 994 unique users have visited the site in that year. It is pleasing to have reached so many. I have been very busy re-modelling our garden and have had no time for botany, but the end is in sight and next week I have a visit to Rum with Skye & Lochalsh SWT.